More than 310 kilos of marine debris were removed during the underwater and beach cleanup organized by All For Blue in association with the Municipality of Mykonos, at the Old Port of the island on Sunday 17th June. In spite of the difficult weather conditions and the rain, the involvement and the willingness of volunteers, divers and especially of children was touching. Students from the island’s local schools, divers from Mykonos Diving Center, the WWF divers team that came for the clean up from Gyaros, the Mykonos Coast Guard & Port Police team and all the crew from the French yacht Energy Observer, all united helped to collect the trash from the beach and the sea. Excited young and older people have taken many pictures with the divers who managed to remove the marine debris, among which wheels, cones, plastic bags, countless bottles, ghost nets, numerous aluminum cans and a credit card! Our goal is to preserve our marine ecosystem and we’re preparing for our next action. 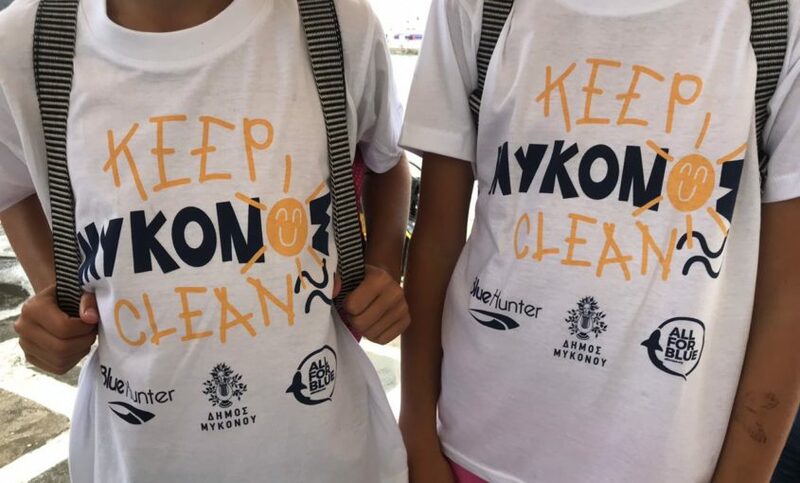 We would like to thank once again #BlueHunter for supplying us with the t-shirts for the young volunteers and the Municipality of Mykonos for the excellent collaboration so far.